Dan Aran has become one of the most sought after drummers in New York City. In addition to Touring, recording and performing with artists such as Harry Whitaker, Natalie Merchant, Stacey Kent, Adam Birnbaum and many others, Dan leads his own quintet and is establishing himself as a writer and bandleader. Dan's debut recording as a leader "Breathing" (smalls records), was described as “Disarmingly pretty, pure in melodic focus." - All About Jazz. And as “One of the most beautiful recordings I have heard in a long time." – Pamela Espeland / Bebopified. Dan's versatility and ability to play different styles is what keeps him busy with a wide variety of bands. He is a regular member of The Michael Arenella Dreamland Orchestra, The Nick Hempton Band and Itai Kriss's TELAVANA. Dan is also an in demand doumbek player, and is active in the world music scene. Dan's musical journey started in his hometown of Jerusalem. 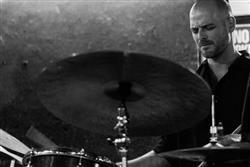 He graduated from the Rubin Academy of Music high school and was already a busy drummer in the Israeli music scene, playing with a number of different groups including bassist Avishai Cohen’s trio, the Amos Hoffman group, Omer Avital and Arnie Lawrence. Dan continued his education at the New School University in New York City. He graduated in 2004 earning a BFA in performance and has been playing in major venues in the U.S, Europe, the Middle East and Asia ever since. Dan Aran plays Istanbul Agop Cymbals, Canopus Drums & uses Innovative Percussion sticks and mallets.